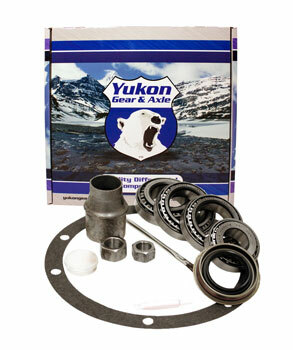 Yukon Minor install kit for Toyota ’85 and older or aftermarket 8″ differential – 4 cylinder. Yukon Minimum installation kits are a low cost solution for gear changes in newer vehicles where the bearings can be reused. This kit uses all high quality components to ensure a smooth set up. kit includes a pinion seal, crush sleeve (if applicable), complete shim kit, marking compound and brush. No side shims.